responsibility has lasting impacts for reducing waste and creating a healthier future. Similarly, To-Go Ware has become the brand that is shifting the way we eat, drink and lunch on-the-go. FENIGO distributes their RePETe bamboo cutlery to replace plastic take-out utensils for good and stainless steel tiffins to carry food beautifully. Most recently, To-Go Ware’s ingenious collapsible silicone containers boast the ability to go from the freezer, oven and microwave with unbelievable ease. In a world consistently entranced by barrage of single use items To-Go Ware stands apart as a brand which values durability and design. In the continued pursuit of imaginative steps to reduce waste, FENIGO has also become the Canadian supplier of Dabbawalla’s biodegradable lunch bags and backpacks. 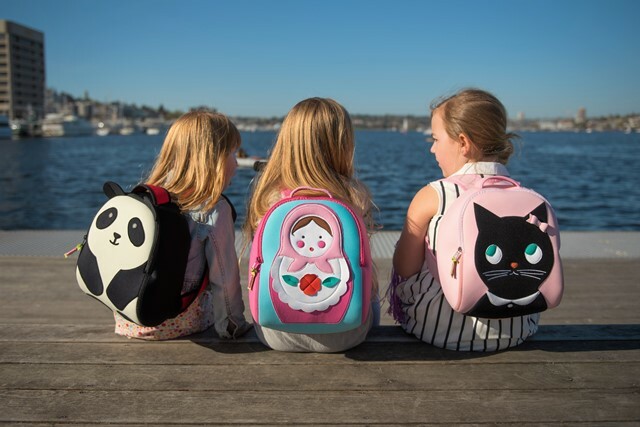 Made of a revolutionary foam material that is machine washable, biodegradable and insulating, these bags will change the way kids lunch forever. Toxin-free with beautiful designs that are responsibly handmade in Taiwan, these bags are made so well that customers are as ecstatic to find them as the FENIGO Team is to distribute them! socially conscious and inventive brands.